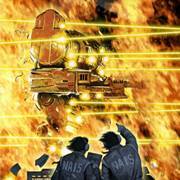 BattleTech: 35 Years of Heavy Metal Mayhem | Even Better than You Remember It. 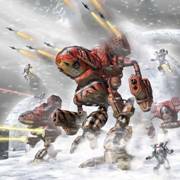 A MechWarrior piloting thirty-foot-tall BattleMechs; a spy behind enemy lines; a scientist unleashing cutting edge tech? How will YOU become legend? Who will hold your allegiance? A warrior-merchant of House Steiner; the honor-bound samurai of House Kurita; the vat-bred warriors of the Clans; a mercenary fighting for the highest bidder? Whether cut down by an expertly laid trap or by the tip of the knife from a concubine turned assassin; whether to avenge a world or love lost: it is a time of war. Animalistic pirate kings harvest high technologies and human slaves in lightning raids; betrayals from oath-bound allies leave honorable soldiers growing cold on forgotten worlds. Unscrupulous merchant starship captains smuggle weapons to their own faction’s enemies; greedy military commanders demand tribute from worlds they’re protecting. Political machinations of feudal lords to retain the reigns of power over billions plunge dozens of planets into wars: aggression, civil, rebellion. It is the 31st century. Mankind has spread to the stars and spawned titanic stellar empires, controlling hundreds of worlds across a thousand light years. Yet the sins of man have not been left behind. 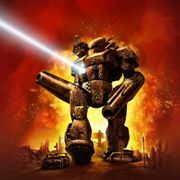 Since its beginnings as the BattleTech boardgame, the BattleTech/MechWarrior universe has captivated millions of fans worldwide. For almost three decades, the collision of interstellar politics and war has rewarded fans with amazingly detailed fiction, captivating characters and fantastic adventure. These dynamics have spawned a host games, novels, toys and more. 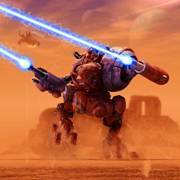 This “portal” site is the central hub for all things BattleTech, including posting all relevant news items. 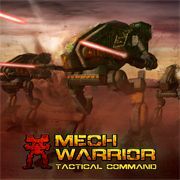 Additionally, above is a series of links that will guide players to their favored aspects of playing BattleTech/MechWarrior. Want to learn about where it all started and check out the boardgame? Click on the link above. Want to learn about the just announced new computer game that will return one of the best selling computer game series in history back to excited fans next year? Click on that link. 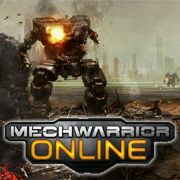 Want to immerse yourself in the ultimate MechWarrior experience of being inside a virtual world BattleMech cockpit? Use that link. Or grab a BattleTech epub novel to pass the time with some titanic action: both classic and brand new fiction are available. Choose your pill and spiral down through the links above to endless action!